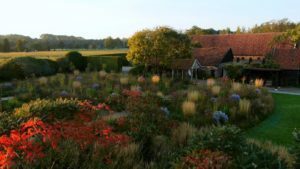 Five Seasons:The Gardens of Piet Oudolf is an immersion in the life and work of the most influential landscape designer of the last 50 years. Piet is responsible for New York’s High Line and many other iconic urban spaces. Closer home, Piet designed the landscaping for the entire site at Hauser & Wirth Somerset. 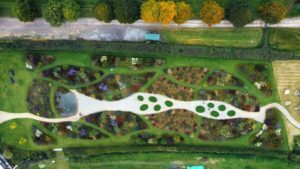 He is in great demand for his revolutionary ideas of what gardens and public spaces can be, and the impact they can have. More than just a movie for gardeners, Five Seasons changes the way all of us think about and ultimately see beauty itself. Celebrated by gardeners for his revolutionary designs, by ecologists for his significant contributions to bio-diversity, by horticulturalists and botanists for his unrivalled knowledge of plants, and by the art, design and fashion worlds for his innovative aesthetics. Piet Oudolf has achieved a level of influence and cultural relevance, rarely, if ever, attained by, in his own words, a modest plantsman. Over the course of the documentary, Piet leads filmmaker Thomas Piper and his camera on a wandering journey, visiting many of his iconic works. Including his own garden in Holland and the great public works in New York, Chicago, and the UK. As well as far-flung sources of inspiration, from German industrial parks to the deep woods of Pennsylvania, and a Texas wildflower explosion. In between travel, we are afforded an exclusive look at the entire process of creating a garden. From winter studio sketches to foggy spring planting and, finally, a late September opening celebration — all through a single project, what Piet now refers to as his masterpiece, the 7000 square metre public garden for the art gallery, Hauser & Wirth Somerset. Five Seasons follows Piet over the course of a year, a structure that accentuates the element of time in Piet’s designs. Beginning in late autumn, the remnants of summer opulence in his gardens give way to the ‘skeletons’ and seed heads of winter. With spring, the cycle begins again, through the peak of summer flowers, and by the return of fall, a complex subject has helped us to appreciate his complex work, forever changing the way we see the world around us. IN CINEMAS 14 JUNE. View the trailer here.